Elephants wants their customers to have fun! Their motto of "great local foods from scratch" and the playful family-friendly nature of their establishments led us to the idea of retooling the logo and literally playing with our food! 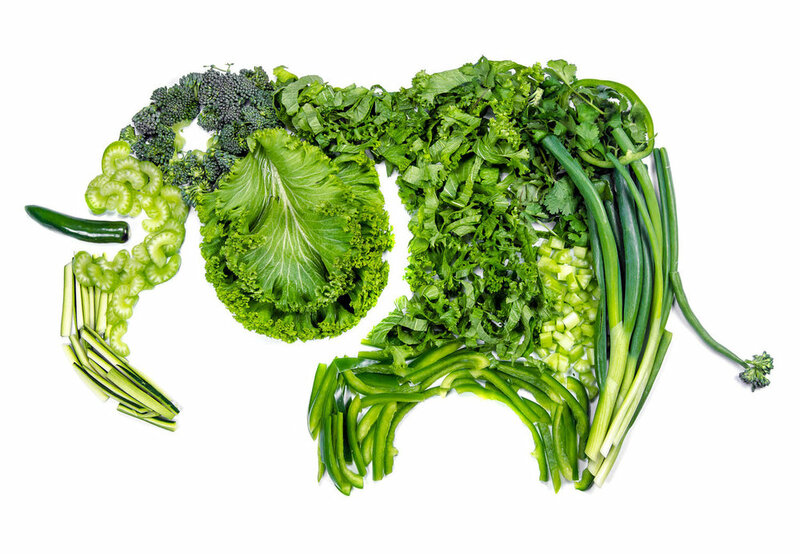 The salad elephant was used in their "Go Green" campaign to promote healthy eating from healthy sources. The cheese elephant combined products from a handful of vendors attending the 2018 Food Awards to show Elephants' commitment to their fine food friends. The pasta elephant was used to promote... well, pasta!